Campsbourne Primary School | Future Ice Hockey Superstar in Our School! 02 May Future Ice Hockey Superstar in Our School! 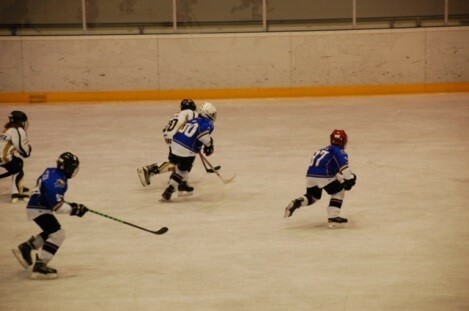 Cameron P, 5 Warhol, plays ice hockey at Ally Pally with Haringey Hounds U11 Team. Last weekend they travelled to Luxembourg to take part in a 2 day tournament. As well as the Hounds there were 7 other teams taking part, they came from France, Germany, Netherlands, Luxembourg, we were the only British team. After the initial rounds the Hounds were place 3rd and through to the semi-finals. We lost our semi-final but still got to play for 3rd place, we won this game place us 3rd overall. It was a fantastic weekend playing against teams from other countries and hanging out with team mates. This weekend Cameron’s team is off to the National Finals in Sheffield as they finished top of the South East League, we shall let you know how they get on. If you want to know more about ice hockey take a look at the club’s website http://www.haringeyhounds.co.uk/.